If the recent proclamations from various bodies, including the International Energy Agency, about our close proximity to the peak in world oil production are true, then Japan may be sitting on the equivalent of an energy security time bomb. The greatest concern is that this time bomb could explode as early as 2015, and with a high probability before 2020 when a global oil crunch has been predicted by Chatham House (the UK’s Royal Institute of International Affairs), by the UK Industry Taskforce on Peak Oil and Energy Security (a group of businesses, including Virgin Airlines, Ove Arup and Partners, etc.) and by the Energy Research Centre, amongst others. 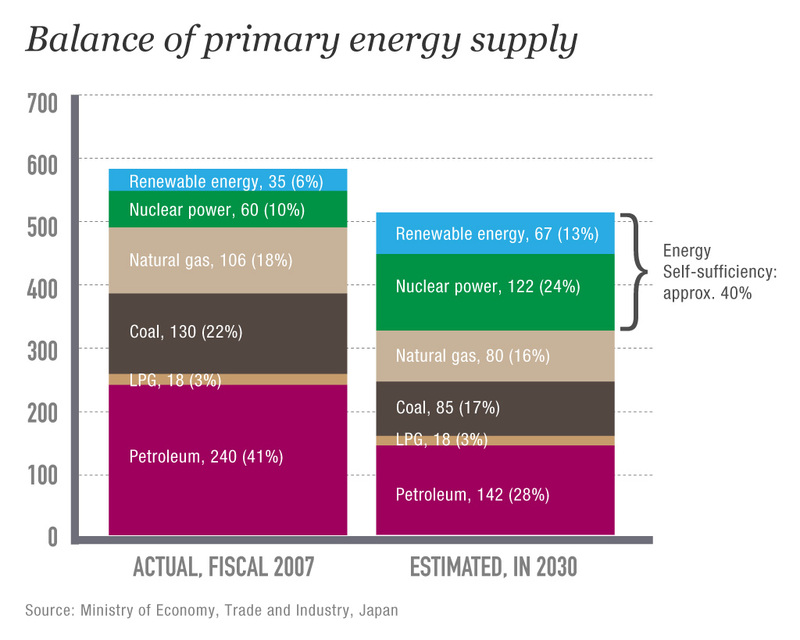 The reason for this concern is simple — Japan’s self-sufficiency in primary energy stands at 18%, including nuclear. This compares with an average 70% energy self-sufficiency across OECD countries. It costs Japan around ¥16.6 trillion (around US$200 billion) each year to pay for these oil imports. Basically, this represents a quarter of all Japanese annual expenditure on imports. It is both an expensive and vulnerable position to be in. What if the supply of oil was suddenly cut-off? This is a reality that Japanese leaders and bureaucrats are well aware of. The 2010 Annual Report on Energy by the Ministry of Economy Trade and Industry (METI) makes specific reference to “choke points” that obstruct the flow of oil from the Middle East and other oil producing regions. A choke point is a strategic location on a sea route (e.g., the Malacca Straits) that could easily be blocked to prevent the flow of shipping in a time of geopolitical turmoil. It is possible to calculate something called a “choke point ratio”. A ratio of 100 means that 100% of the oil reaching a country passes through such points. When it exceeds 100, this means that the oil passes through multiple choke points. Japan’s choke point ratio is 171, while those for Germany and the United Kingdom are around 5 and 3 respectively. Countries tend to respond to concerns about supply vulnerability by stockpiling oil. Japan maintains stockpiles for 129 days. So in the advent of a major disruption to oil supplies, Japan would be able to carry on for around five months under business-as-usual scenarios (perhaps longer if only vital services are maintained). That is a rather thin safety cushion to rely on, and the question here is how is Japan dealing with its energy security vulnerabilities in the short term and long term? How to increase energy security? The last time we spoke to officials from METI back in 2009, it appeared that the direction of Japan’s future energy policy was in flux and renewable energy (particularly solar) was gaining increased support, especially through the country’s stimulus packages. In the intervening period a great deal appears to have changed. These changes are explained by DeWit and Iida who argue that the nuclear lobby has reasserted its influence over the Japanese political and bureaucratic elite and that now nuclear power is seen as “the only realistic option for reducing dependence on fossil fuels and cutting [greenhouse gas] emissions” and as a “major export business”. The Strategic Energy Plan of Japan, published by METI in June 2010, sets forth the goal of constructing nine new nuclear power plants by 2020 and more than 14 by 2030. The plan envisions a significant reduction in the overall energy consumed by Japan in 2030 through efficiency measures, as shown in the figure, with nuclear power growing from 10% of primary energy today to 24% in 2030. The share of renewables is also predicted to grow from 6 to 13%. There are a lot of assumptions underpinning these proposals. First, although the Japanese population is predicted to decline, the number of households is expected to increase slightly, reflecting changing lifestyles and family structures. As a result, greater energy efficiencies are required in the residential sector that would also have the benefit of reducing CO2 emissions. The plan envisions something like a revolution in the efficiency of household electrical appliances. Also in the plan, nuclear and renewable energy are both described as zero emission power sources, although some may contest whether from a life-cycle perspective either are totally carbon dioxide emissions free. Japan currently sits at number three in the world, behind France and the United States, in terms of the amount of energy generated from nuclear sources. The direction presented in the latest Strategic Energy Plan is essentially taking France as the model, since like Japan, it is a country that lacks domestic fossil energy resources (except coal). Japan’s 2010 Energy White Paper makes specific reference to key advantages of the French model: powerful energy supply businesses, such as EDF and TOTAL, a monopolistic energy sector, and vertically integrated national and public companies. In many respects, it may possible to argue that, with respect to the future of energy in Japan, nuclear may be the wrong direction. This is not to argue against the merits of nuclear power per se, but to express concern of the emphasis placed on nuclear above other options, including renewables. This approach runs counter to experience in countries like Sweden and Germany, and also to the findings of recent research that shows that we could power the world on alternative energy technologies within 20–40 years. So why not Japan? 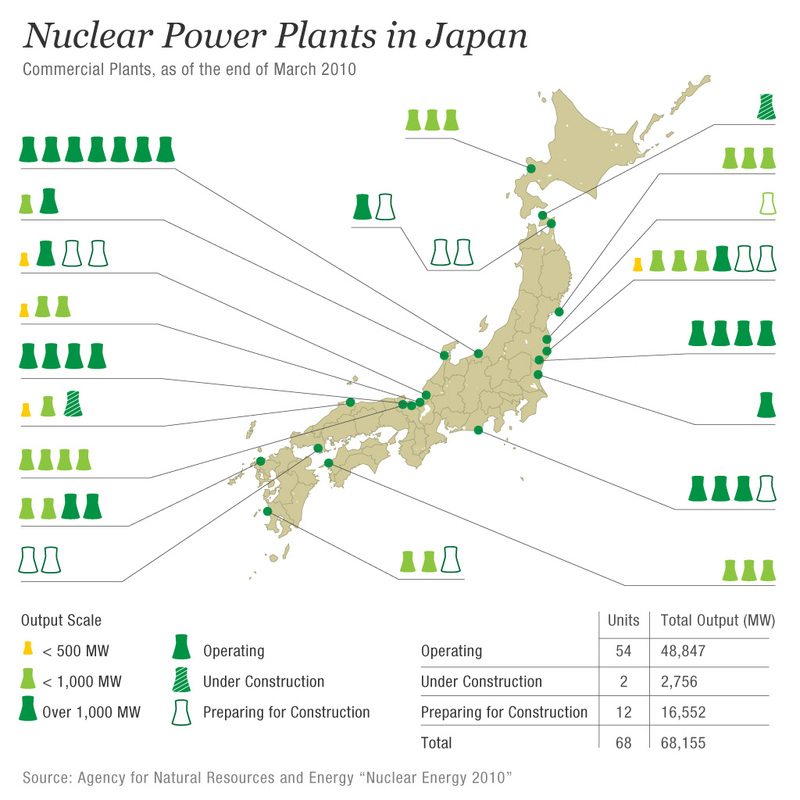 Clearly, from an historical perspective, nuclear makes considerable sense taking into account Japan’s lack of domestic fossil fuel options and also bearing in mind the considerable industrial expertise that Japan has developed in this sector. Nuclear for Japan represents the “business as usual” option. It ensures a coordinated, centralized, monopolized energy system that can guarantee the maintenance of a high technology industrial system. Nuclear seems to make sense if you want to maintain huge urban agglomerations like Tokyo (which has 1% energy self-sufficiency). If you conclude that the future will be the same as the past then nuclear seems like the right choice. But when you also think about the less urbanized areas of Japan, nuclear is much less attractive. Certainly the best and the brightest in Japan’s bureaucratic elite would say, “Yes, categorically, nuclear is the way to go”. But the problem here is the lack of independent think tanks inputting into policy (i.e., those not directly set up by, or related to the government) which means that the energy policy process in Japan is not open to the consideration of alternatives and that could also explain why peak oil is yet to enter the policy debate. The other big challenge related to nuclear is the issue of safety and risk, especially in an earthquake prone country like Japan and particularly in relation to how radioactive waste is dealt with, as we touched on in Monday’s article. With respect to alternatives, as in some countries like Germany and Sweden, there is considerable potential for the development of more renewable energy in Japan if the suitable conditions are in place. For instance, the first Renewable Energy White Paper published in 2010 by a group of independent Japanese think tanks argued that it would be possible to meet 67% of domestic energy demand in Japan by 2050. This view has been largely ignored by Japanese energy policy-makers at the national level. That estimate may be optimistic and some may argue that renewable energy also has very significant limitations. Nevertheless, a major expansion of renewable energy in Japan could help reduce energy insecurity by diversifying supply and decentralizing power generation. This would give local communities more say on how they generate their electricity and allow them to innovate in the process. This approach would represent a radical and visionary change in how the energy sector works in Japan; if history is any guide, such a transition does not yet seem palatable for those who decide how the country will invest in its energy infrastructure. From a peak oil perspective, some commentators, such as Rob Hopkins and John Rawlins, are concerned that nuclear may not be the right way forward. They are worried about the availability of uranium, suspecting that future scarcities and suggesting that nuclear is a “stop-gap” solution rather than something that can be sustained long into the future. An important point to make here is that the planning, construction and implementation of nuclear power plants take decades. So Japan, and every other country, may be facing a race against time, where the rate of oil depletion after the peak will be a significant factor in determining how rapidly we need to find alternatives to oil. Pushing nuclear does mean that Japan would require less oil for energy, which then could be utilized in the transportation sector, for instance. But here too is another race against time. The 2010 Strategic Energy Plan aims to increase the number of next generation cars (hybrids and electric) from 10% today to 70% of new cars sold by 2030. This still suggests a very large proportion of cars in Japan in 2030 will be gasoline powered. Ideally, in order to avoid major disruptions almost 100% of cars would be electric by 2030, but that is just not going to happen under the current policy framework. So it may be safe to conclude that by pushing so aggressively down the nuclear path, Japan may be putting too many eggs in one basket. The rationale behind this approach is easy to understand since business as usual is easier than radical reform, and maintaining monolithic centralized structures is easier than decentralised ones in which less control by Tokyo and other urban centres would be a given. However, let’s give the people behind the strategic energy plan the benefit of the doubt for just a moment. The plan is required to be reviewed every three years and revised if needed. So we have to wait until 2013 before the next review and by that time we all may have greater awareness about the state of our collective energy predicament. For now, the central question remains open: will nuclear power actually save Japan from the worst effects of a peaking oil production? What do you think? Can Nuclear Power save Japan from Peak Oil? by Brendan Barrett is licensed under a Creative Commons Attribution-NonCommercial-ShareAlike 3.0 Unported License. Brendan, this was a very well-balanced article and, as such, fosters clear thinking of the various angles of this topic. Thank you for that. Unless the energy and geopolitical systems undergirding the status quo crumble in the next few years – thereby precluding Japan from getting additional nuclear plants online in time – then I think nuclear power could indeed “save” Japan from the worst effects of peak oil. Yet in my mind, nuclear would be a stop-gap measure at best, on the way to what I feel will almost certainly be a much lower-energy-intensive future regardless. As such, why yoke future generations with our eternally toxic nuclear waste? After all, we’d just be kicking the can down the road in terms of extending the death-date of the status quo. Wouldn’t that be extremely selfish of us? You properly pointed out that “If you conclude that the future will be the same as the past then nuclear seems like the right choice.” That assumption, to me, is what ultimately determines whether nuclear is the right way to go. And my response is that it won’t, so it isn’t. Better, instead, to begin planning and executing on strategies – right now – to rapidly and pervasively prepare for serious energy descent in coming decades. Japan is particularly well-suited to do this as it’s collectivist nature enhances the likelihood of widespread participation. And, being so vulnerable given its dependencies, it has the impetus to look further ahead than other countries to see the future global fault lines and take action. Finally, unlike so many other developed countries, it has more recent memories of how to actually live sustainably on the land. Relying on nuclear would be like switching a car to its reserve fuel tank when the main one runs dry. It may go along great for awhile but it will still run out of gas. Better to think now, while the main tank gauge is on “E”, about how we’re going to propel this heavy car down the road – or better – to think of alternatives to powering such a hog. Maybe its time to jettison some weight and buy us time by living more lightly, enhancing energy efficiency everywhere we can find it, increasing local food self-sufficiency, stimulating the economy using multiplier effects arising from systematic shifts toward solar, wind, etc. Thanks Alan for your insightful comment. I do agree that nuclear appears to be a stop-gap solution and I am greatly concerned by the fact that Japanese leaders are not to be exploring fully the renewable energy option. In my view, renewable energy will greatly add to Japan’s longer energy security, whereas nuclear offers as many problems as it does solutions, particularly around waste and safety. The other issue, in my view, is the lack of broad inputs into the decision of how Japan could proceed to tackle the very challenging future energy risks if faces. Bearing in mind the significance of these concerns, I would expect the popular media to be talking about Japan’s energy situation on a daily basis. It is not happening. There also seems to be a complete lack of research and new reports on topics such as peak oil and what Japan should do. In this context, I was fascinated to see that WWF released a report on 3 February 2011 arguing that we can meet 100% of the world’s energy needs from renewable sources by 2050 http://www.wwf.org.uk/news_feed.cfm?4584%2FThe-Energy-Report—100-renewable-energy-by-2050. Japan needs to start looking at this and other studies as soon as possible. Thanks Brendan for presenting and analyzing the current energy policy in Japan. I think that just as always Japan would pursue sustainable energy policy only when other nations move toward that direction. Now United States, one of the most influential countries, is seriously thinking to install nuclear energy as an alternative to combat climate change. Japan is likely following the same path. I wonder what will make Japan take its own initiatives to do the right things. This is a great article, especially for pointing out the vested interests in energy policy making. What is the influence of rural regions, and the civil sector in these decisions? 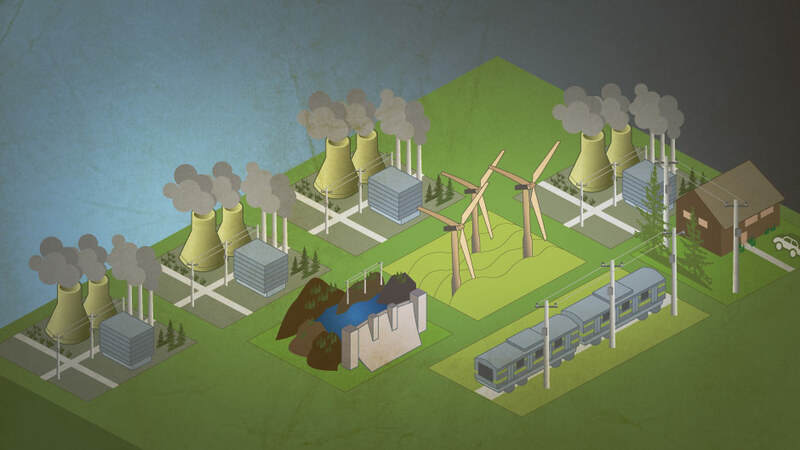 What conditions are necessary for a renewable energy transition? 6 reactors or more in trouble as of March 13, 2011? I worry that he may not have read the whole article or even noticed that it was part of our nuclear week series where we asked to question whether or not we actually need nuclear? The goal of the article was to stimulate debate the article ends with “For now, the central question remains open: will nuclear power actually save Japan from the worst effects of a peaking oil production? What do you think?” The article was meant to be balanced so that people on both sides (pro and anti nuclear) could enter into debate.